"Gaston will become a hurricane and could become the first major hurricane of the season in the Atlantic Ocean," according to AccuWeather Hurricane Expert Dan Kottlowski. Meteorologists at Accuweather predict the storm would follow a similar path toward the central Atlantic as Fiona did and would not pose a threat to land. However, the system has potential for turning toward Bermuda and potentially North America. It could become a hurricane by Wednesday. 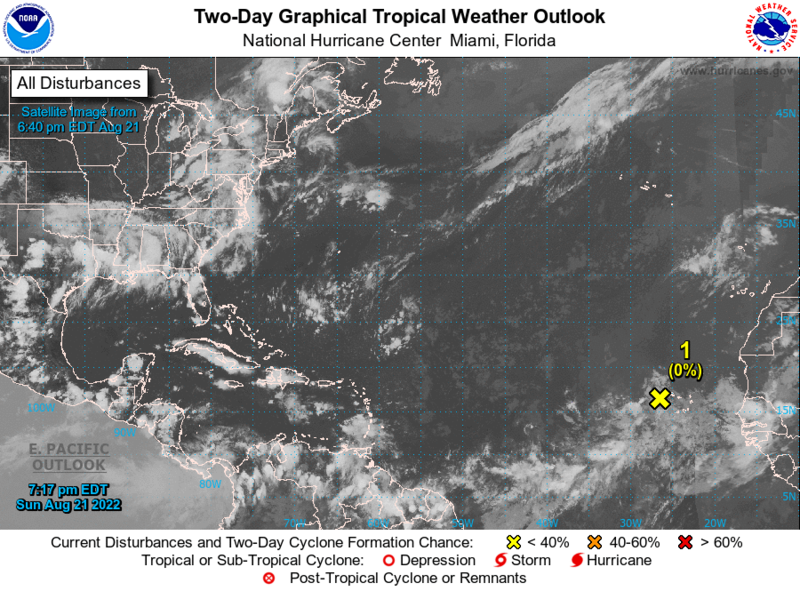 Meanwhile, meteorologists are monitoring a tropical disturbance, named 99L, with a 50 percent chance of formation within the next 48 hours, according to the National Hurricane Center. Chances of the system developing into a tropical storm could increase as the storm moves near Hispaniola and environmental conditions change. If it develops, it would be called Hermine. If it develops, it could pose a threat to the Caribbean islands and southeast U.S. coast. Tropical Depression Fiona remains disorganized and it moves across the central Atlantic. It does not pose a threat to land. NOAA released its Atlantic Hurricane Season Outlook for 2016. Dr. Gerry Bell explains how to monitor hurricane forecasts throughout the season, from June 1 through November 30, and how to be prepared for any storms.